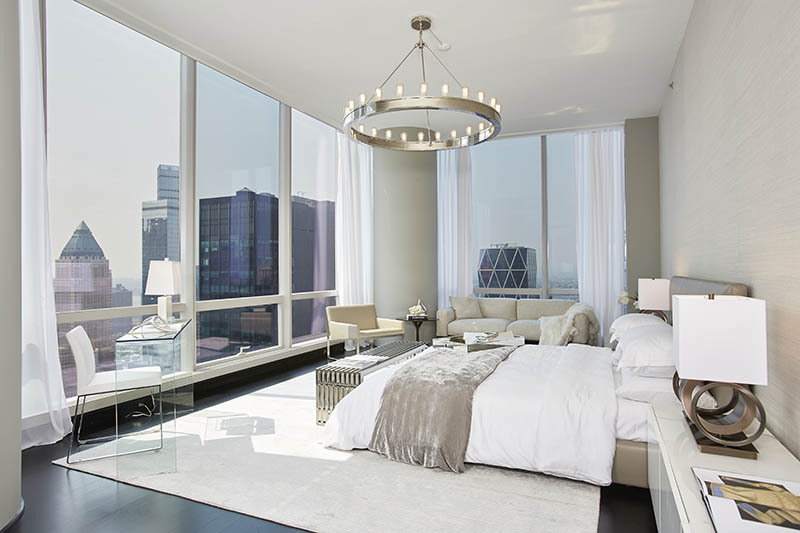 Apartment 54B, the re-designed 5,475 square-foot ultra-luxury residence at One57—Manhattan’s 90-story tower by award-winning architect Christian de Portzamparc—is open for viewing. And there’s a reason why real estate brokers John Venekamp and Leslie Singer of Brown Harris Stevens “are thrilled to show this magnificent residence to potential buyers,” as Venekamp announced earlier this month. 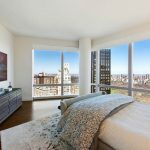 The features of this sprawling five-bedroom, five-and-a-half bathroom unit begin with the living room where 12-foot floor-to-ceiling windows create a stunning show of sunlight, sky, and absolutely captivating birds-eye views of the city. On closer approach, the glass almost melts away and the mesmerizing urban expanse unfolds—Central Park to the north, Midtown to the east, and the Chrysler and Empire State buildings to the south. A look down reveals miniature taxi cabs and vague human forms, distant and worlds away. The expansive living room and adjacent dining room can easily function as a comfortable, oversized living space or as an at-home cocktail lounge, but follow the doorway out into the adjacent room, and the eat-in-kitchen offers even more entertainment potential. 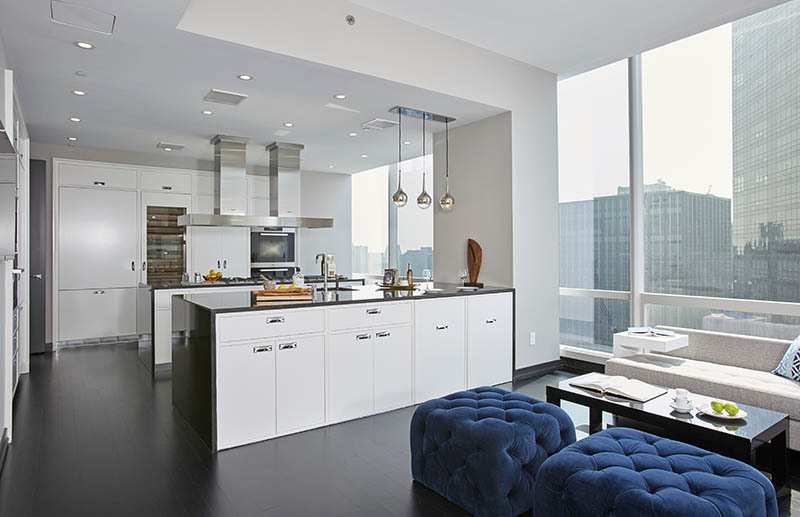 Here you’ll find cabinetry by Smallbone and Devizes, a double Sub-Zero refrigerator, and Miele appliances, all of which make for a functional and modern space complete with its own wall-size windows to bring in the feeling of being airborne. In fact, it would seem that 54B was designed with guests in mind, imagined for the sole purpose of flawless entertaining. But we next take you to the end of the main hallway, past four bedrooms—each with an en-suite bath fully clad in onyx, marble, or travertine, and Dornbracht fixtures—past a laundry room complete with Miele washer and dryer. We arrive at the master suite where the ambiance changes to that of a comforting sanctuary. The master bedroom, study, private bath, and walk-in closet that make up the master suite exist almost as a unit of their own; they seem to stand in complementary opposition to the other half of 54B—that buzzing meeting place of the living room and kitchen. The master bedroom and study in particular, with their west-facing windows, offer unparalleled sunset views over the Hudson, ones that transport unlike any rooftop equivalent. The private bath features lavish marble with double sinks, plus a separate shower and tub. And the walk-in closet is almost bedroom-sized, with two wall-length closets flanking the path to one more south-west-facing glass window. There is no shortage of views at 54B. 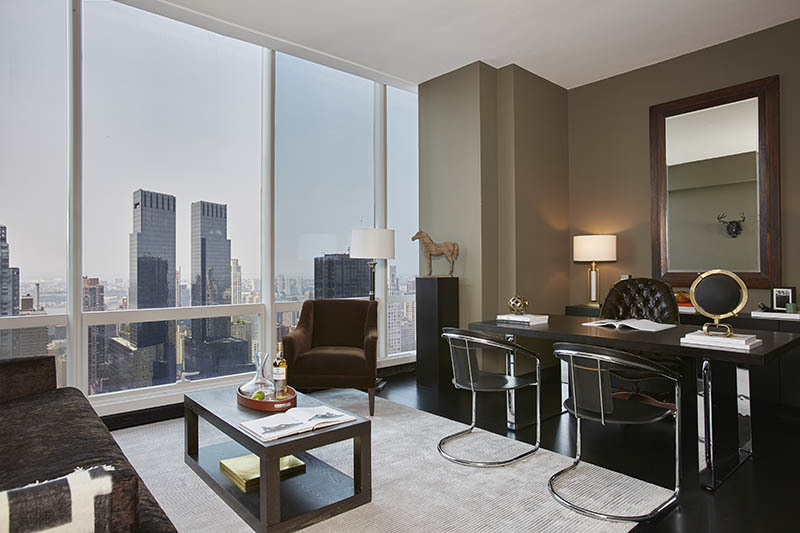 Residents of this unique home—one of the largest listings in the building—will enjoy not only the finest of One57 but of the Park Hyatt—the hotel located in the building through a separate fully-attended lobby—as well. 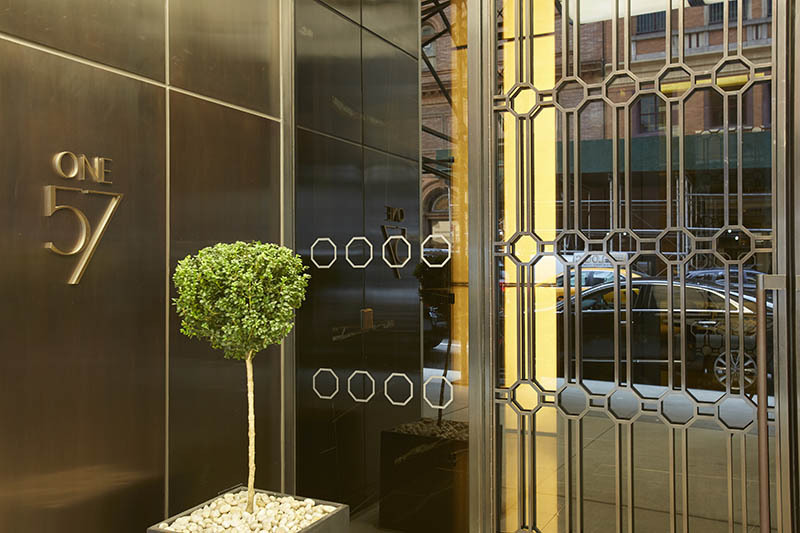 Exclusive amenities include à la carte services of the hotel, multilingual concierge services, health club with pool and spa, five-star restaurant, library, private conference rooms, screening room, and attended parking. Interior Marketing Group has recently completed staging of 54B, transforming it into a blend of new, vintage, and custom-made furniture pieces, lighting, and accessories. 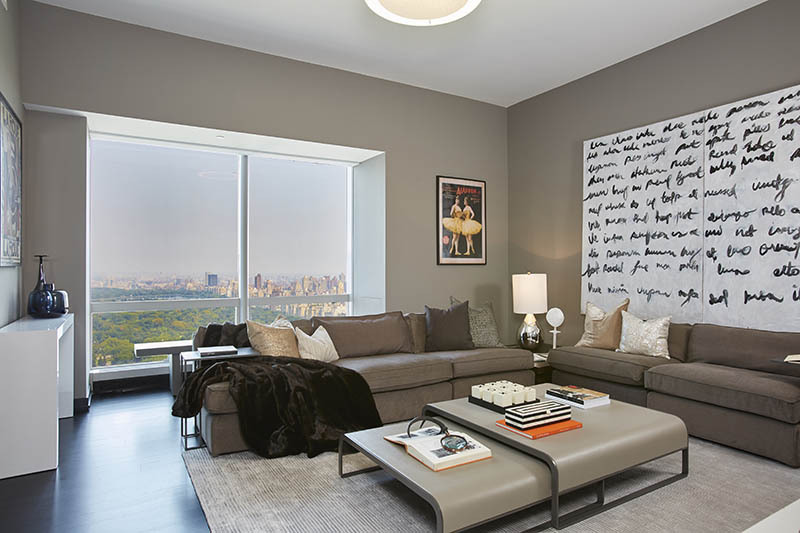 Each piece of art currently adorning the walls of the residence comes from the staging firm’s own inventory and has been created by in-house artists specifically for the project. 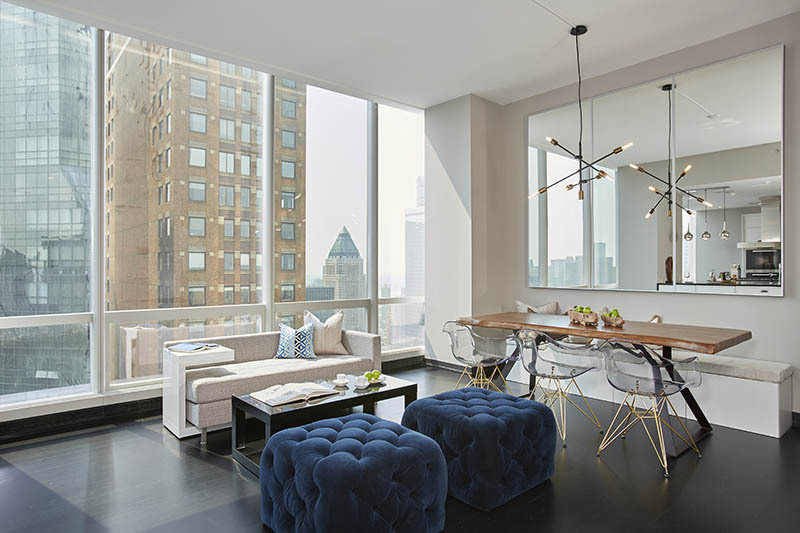 The work accentuates design by Danish architect Thomas Juul-Hansen—designer of One57’s interior and of New York’s most notable glass curtain-wall residences. 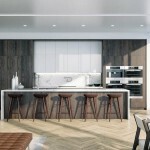 Materials of the highest quality now assert elegance and class: Rich rosewood flooring in a French herringbone pattern or select rift-sawn white oak, slabs of Italian marble, and custom hardware and light fixtures. 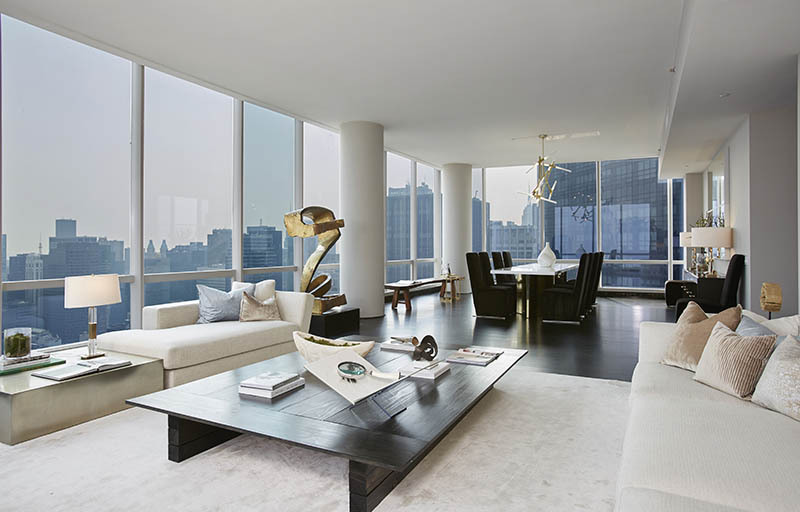 “This apartment is stunning, spacious, and available for immediate occupancy,” in the words of John Venekamp. It’s a soaring marvel—easily one of New York’s hottest luxury real estate offerings—and it awaits at One57, 157 57th Street.